La Liga is back. 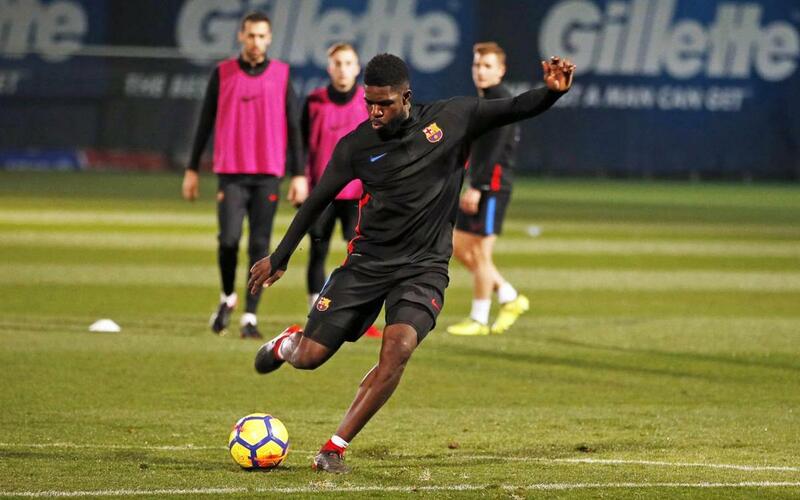 And Samuel Umtiti is back too! The French centre back has been declared fit and included in the 18-strong squad that will leave for Seville on a 10.30am CET flight Sunday to face Real Betis in the evening. Gerard Deulofeu is called back up for duty, and Ernesto Valverde has also made room for Carles Aleñá of Barça B. The team worked out one last time before the trip to Andalusia on Saturday evening at the Ciutat Esportiva Joan Gamper, where they were also joined by reserve team goalkeeper Jokin Ezkieta. Philippe Coutinho was able to join in with some of the exercises with his new team-mates, but is still not match fit. The Brazilian will be staying at home this weekend along with the also injured Ousmane Dembélé, Paco Alcácer, Andrés Iniesta and Javier Mascherano. Rafinha was given special permission by the club to miss the session and will not be travelling to Andalusia either. Neither will Denis Suárez and Yerry Mina. Although the latter has now been officially cleared to play after his transfer went through, Valverde strongly hinted at his pre-match press conference that he would rather give the Colombian more time to adapt to a new country and a new team. The full squad for the game with Betis at 8.45pm CET is therefore as follows: Ter Stegen, Semedo, Piqué, Rakitic, Sergio Busquets, Suárez, Messi, Cillessen, Paulinho, Deulofeu, Jordi Alba, Digne, Sergi Roberto, André Gomes, Aleix Vidal, Umtiti, Vermaelen and Aleñá.